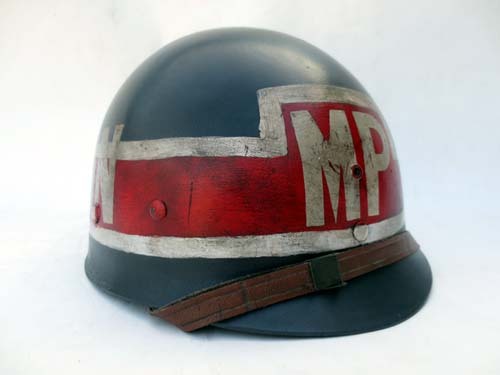 This US M1 helmet liner has been restored to look as if it might have been worn by a United Nations MP during the Suez Crisis of 1956. The restoration was done by studying original photos of members of the Yugoslavian contingent who served as MP during the Crisis. 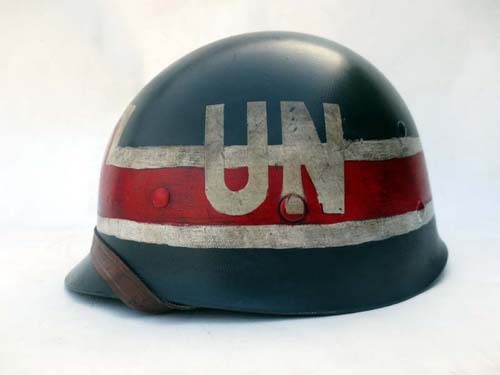 As with the original examples the MP and UN were applied using a stencil, which the boarders were done by hand.